specially modified to control cryogenic flow. or Pilot Operated with low min pressure to open. Please select NORMALLY OPEN or NORMALLY CLOSED on the TAB! 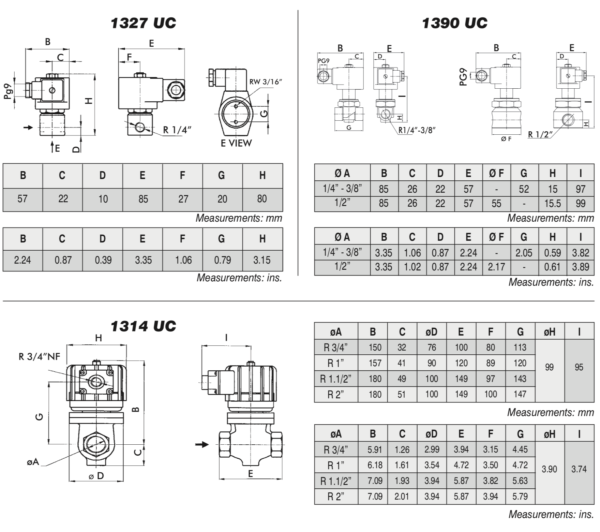 1390 and 1314 ONLY install on a horizontal pipe with the coil upright. 1327 The preferred installation position is on a horizontal pipe with the coil upright, however you can install the valve in any position. 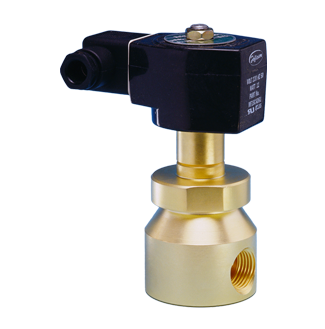 The valve inlet pressure must always be greater than the outlet pressure.